Samsung has announced a new feature for its smart TV lines starting this year, providing enhanced wireless connectivity with PCs, tablets, and smartphones. 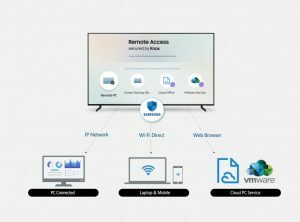 The Remote Access feature will allow consumers to remotely control compatible programs and apps through their Samsung Smart TV, with viewers able to remotely access a PC to surf the web or play games from their TV using a connected keyboard and mouse. Samsung partner VMware’s virtual desktop infrastructure solution, VMware Horizon, is powering the Remote Access solution, which will be available to users around the world. 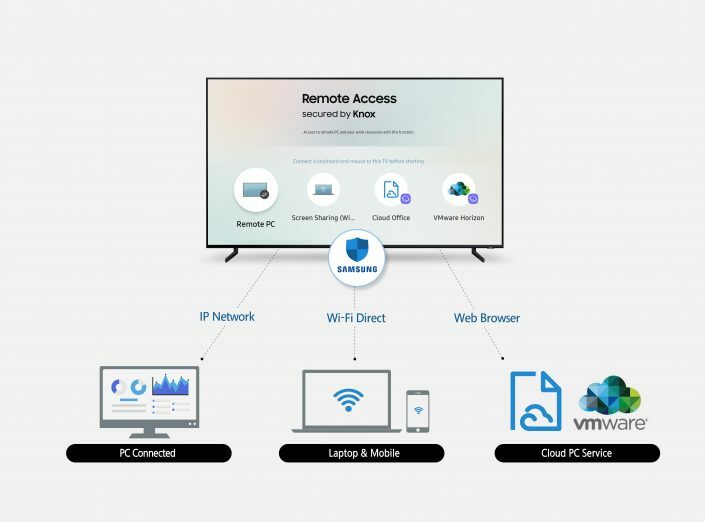 “With Remote Access, consumers will be able to easily access various programs, apps and cloud services installed on multiple connected devices directly through their TV screen,” said Hyogun Lee, executive vice president of visual display business at Samsung Electronics. VMware’s senior vice president and general manager of end-user computing, Shankar Iyer, said: “Samsung and VMware share a passion for helping workers to be as productive as possible.